Become an Urban Milwaukee member and get two tickets worth $30. Indian Summer Festival. Photo by Jack Fennimore. Want to dig deep into Wisconsin’s roots? 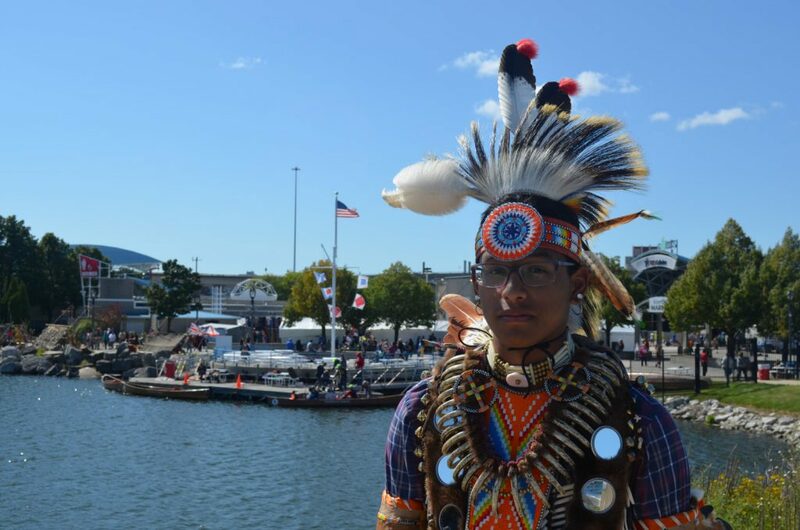 Indian Summer Festival is returning to the Milwaukee lakefront from September 7-9 for a weekend of music, dance, education, and entertainment. This is the largest celebration of traditional and contemporary Native culture in the Midwest, and fest-goers will have a lot to experience. Throughout the festival, there will be craftspeople making hand drums, beadwork and flutes, as well as amateur Olympic-style boxing matches and lacrosse games, plenty of bingo, traditional foods such as bison burgers and Indian tacos, and much more. This is one of the final festivals of the summer, and we want you to attend, on us. Urban Milwaukee is offering a special membership deal while our supplies last. If you sign up to become a member, you’ll receive two Indian Summer Festival tickets, valued at $30. That’s just the beginning of all of the perks you’ll receive for becoming a member. You’ll help support Urban Milwaukee’s journalism, and you’ll be eligible to get free tickets to many other Milwaukee events. We know there are many thousands of regular Urban Milwaukee readers, people who appreciate our fiercely independent coverage of the city, and have probably thought about becoming a member. Maybe you just haven’t gotten around to it, or were waiting for the best deal. If you want to learn more about the history of where we live, this is the perfect offer. By becoming a member, you’ll help us continue to grow our publication, which now publishes more than 40 stories and 100 press releases per week. What will you get by becoming a member? A 10 percent discount on all merchandise at Urban Milwaukee: The Store, located at 755 N. Milwaukee St., Milwaukee, WI. The price of all that is just $9/month, and during this limited-time deal, you’ll receive free admission to Indian Summer Festival for you and a guest. The tickets are valued at nearly one-third the cost of an annual membership. And signing up is easy. Indian summer Festival runs from September 7-9 at the Summerfest Grounds. Festival hours at 4 p.m. to midnight Friday, noon to midnight Saturday, and 11 a.m. to 8 p.m. Sunday. For a full lineup of activities, music, and vendors, visit their website.